I made my first stock trade back in the autumn of 2007. I had read a few books on investing for beginners by Warren Buffet and also the book The Bogleheads’ Guide to Investing. I knew just enough to be dangerous. And dangerous I was. I made some fantastic trades with 300 to 400% returns, and also made some trades with losses of up to 50%. I can remember February and March of 2009 clearly. I did a lot of research on different stocks and went with companies that the government was bailing out. The returns were fabulous! But then I invested in some blue chip stocks thinking they’re blue chip so of course they’ll go up. Wrong. They started tanking and I got emotional, scared, fearful and sold for a loss. Had I held I’d be up 300% on one. Yep, one of those stocks was Google. There was no reason for me to lose money in the stock market during those months but I did. Warren Buffet once said something along the lines of buy when everyone is selling and sell when everyone is buying. I thought I had graduated from investing for beginners but class was still in session. New investors are likely to be young, and if there’s anyone who can afford investment risk, it’s a young person. Start now and Trade FREE for 60 days when you open and fund a new OptionsHouse account. With a time horizon that includes decades, it’s not only OK, it’s probably a good idea to take on some risk in exchange for the promise of greater rewards. For example, over the long term, stocks far outperform bonds and cash investments. On the other hand, just because you are young and have a long time horizon in which to absorb losses, it doesn’t mean you should be reckless in chasing returns. 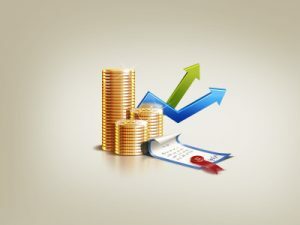 Weighting your portfolio too heavily in favor of risky stocks or risky sectors can lead to huge downturns and wipe out big gains you have made. Picking the right investment is largely dependent on good research. However, research involves more than just reading the most recent news articles about a company. Most journalists, even financial ones, don’t know a whole lot more than the average person, and they rely on what the companies and so-called experts tell them. News about the overall economy can also be misleading. Just because the overall economy is doing well, it doesn’t mean a certain stock or sector is also doing well. Relying on financial headlines can also lead to overpaying for an investment. If an investment is currently a hot one, that may be a bad time to buy in, because everyone else has already been buying in, driving up the price. You can also pay too much if you buy a cyclical stock at the wrong time. For example, dollar store retailers and did well during the recession, but once the economy improved, their business dropped off. One of the toughest things about investing is losing money. However, that’s part of the game. Selling too quickly is an especially big problem for newbie investors. If you sell at the first sign of a dip, you lose your chance to gain that loss back. Selling to quick also wipes out any chances of compounding interest. On the flip side, you don’t want to sell winners to soon, either. If you sell a stock after making a few bucks on it, you may limit your ability to make even more down the road. …try to be fearful when others are greedy and greedy only when others are fearful. of investments you make so that you have better odds of making money. You’re absolutely right that diversification is extremely important. your homework and invest in things that have stood the test of time and are reputable. 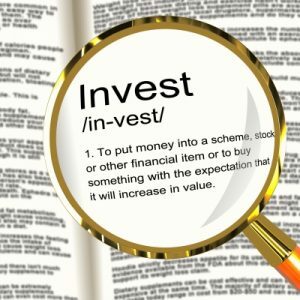 When you are starting out in the stock market, it is best to invest in what you know. They do say that sticking with what you know is a good strategy. Thanks for sharing! Great article, I’ve definitely found myself making some of these mistakes. #4 Overpaying really resonated with me; a good stock at a bad (expensive) price is a bad investment!